Access to healthy meals can be a challenge for some older adults and people with disabilities. To bridge that gap, the federal government provides many meal programs in congregate settings and by delivery to communities throughout the nation. 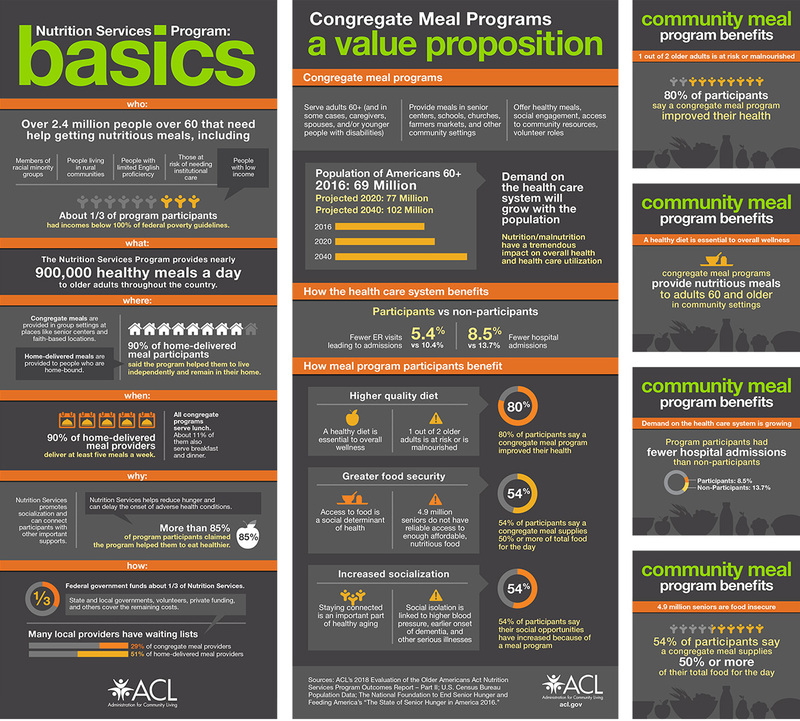 Doyle created a series of social media and poster infographics that promoted nutrition services and demonstrated need to community members and legislative bodies. Findings of a recent report were illustrated into simplified visuals. Key facts and statistics were grouped into 508 compliant series that informed key audiences about the report and related nutrition services in their area.